One of Google's best devices gets modest improvements, and that's okay. 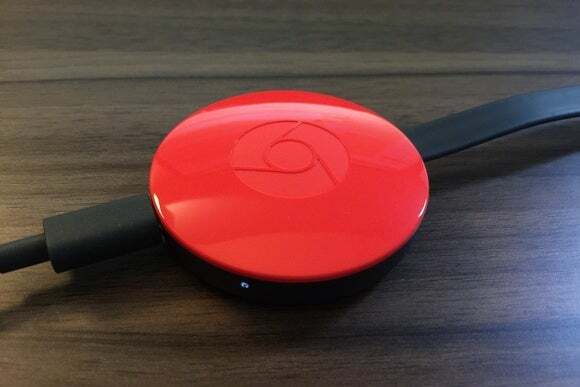 The second-generation Chromecast might be the most unnecessary hardware that Google has ever released, but that doesn't mean it's bad product. 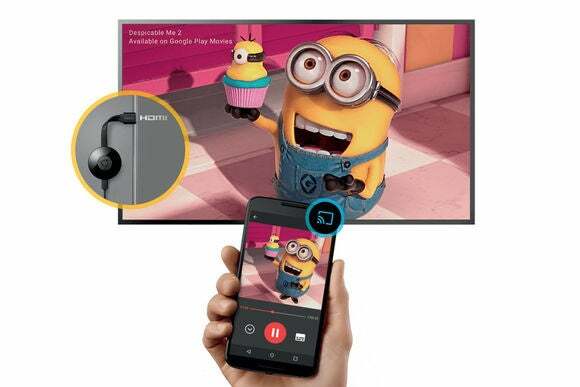 With Chromecast, the hardware never mattered much. Unlike media streamers from Roku, Amazon, and Apple, a Chromecast doesn’t come with a remote control. Instead, you use your phone, tablet, or computer’s Chrome browser as the remote. When you’re ready to watch TV, you open a supported app such as Netflix or Hulu, hit the big “Cast” button, and choose a video. The Chromecast then begins streaming the video straight from the Internet a few seconds later. 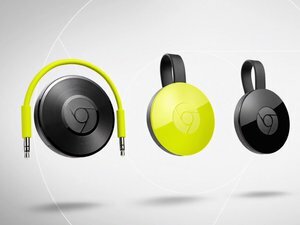 By moving the entire browsing experience to the device in your pocket (or on your lap), Chromecast is unburdened by heavy computational and storage requirements, not to mention the cost of a remote. 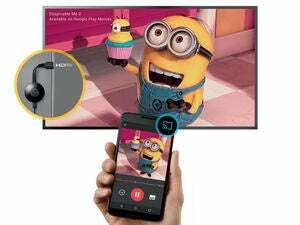 And whenever you buy a new phone or tablet, the Chromecast experience automatically gets smoother and faster. This unique setup—and ever-expanding app support—has allowed Chromecast to get better with age. Tap the Cast button in apps like YouTube, and video appears on the TV. All of which is a long-winded way of saying that the market wasn't crying out for a replacement for the first-generation Chromecast. Despite being two years old, it’s still a fast and cheap way to watch Internet videos on your television. The new model, still $35, is just a teeny bit more effective. The new Chromecast hangs away from the TV, while the old one can block adjacent HDMI ports. The new Chromecast’s circular design also allows for a new antenna structure, which supports the latest 802.11ac Wi-Fi standard. If you have a router that supports both the 2.4- and 5GHz frequency bands, the new Chromecast can connect to either one (the latter is less crowded in most homes, but you might get better range with the former). Beyond just Casting from apps, you can also mirror the display of many Android phones, or any tab in Google’s Chrome browser. Doing so will drain your device’s battery life quickly, and doesn’t always provide smooth playback, but it’s a fine fallback measure for music and video services that don’t support Chromecast natively. In any case, I didn’t notice any performance differences between the new and old Chromecasts when mirroring. In lieu of major hardware changes, the big improvements come on the software side, benefiting both the new Chromecast and the existing version. 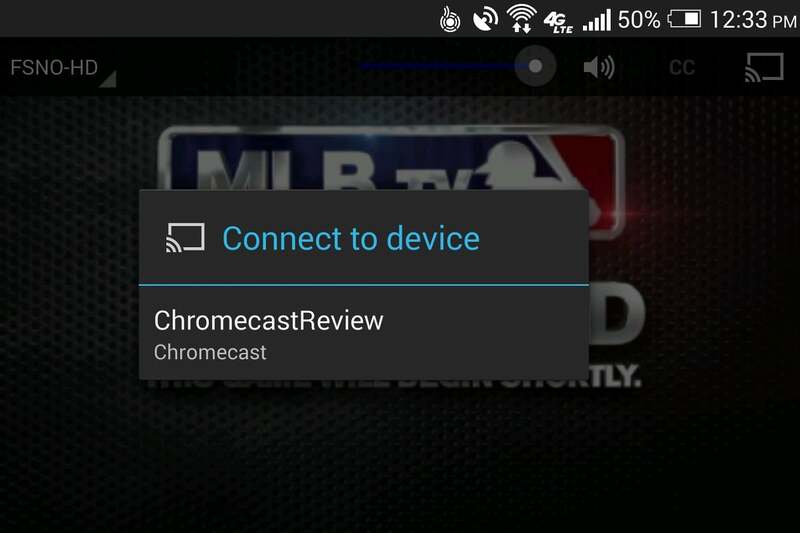 The best new software feature is Google’s revamped Chromecast app for iOS and Android. It’s no longer just a way to set up new Chromecast devices and find compatible apps, but a full-blown content search and recommendation engine. The “What’s On” section suggests videos to watch from any Cast-enabled apps you already have, while the search bar lets you look up movies, TV shows, actors, directors, and genres from across all apps, either by voice or text. You can’t Cast videos directly from this app, and search sometimes fails to list every available video search, but overall the Chromecast app provides a useful starting point when you don’t know exactly what to watch. 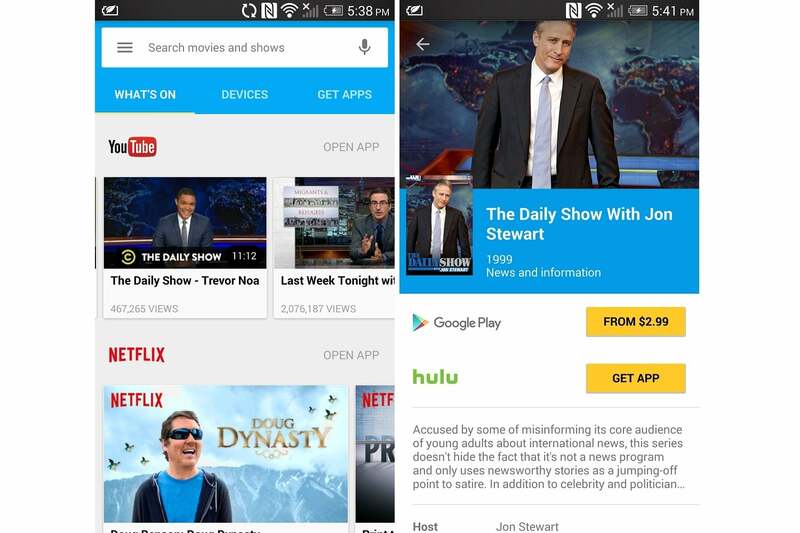 The new Chromecast app helps you figure out what to watch and where to watch it. Google’s also introducing a feature called “Fast Play” that’s supposed to make apps and content load faster. This works in two ways: When you first launch an app on your phone or tablet, Chromecast will start pre-loading it, so it appears almost instantly when you hit the Cast button. This already works with certain apps, such as Netflix, on both the new and old Chromecast. Later, Google will extend Fast Play by letting apps predict the next video you might watch. Videos can then buffer in the background, so they’re ready to stream when you select them. This feature sounds similar to the “predictive streaming” on Amazon’s Fire TV devices, but we won’t be able to check it out until it launches early next year. Of course, any streaming device lives and dies by its app support, and over the past two years Google has done an admirable job of getting major streaming video and music services on board. The most recent arrivals include HBO Now, Showtime, and NFL Sunday Ticket. The cable alternative Sling TV is on its way. Apple services such as iTunes and Apple Music are absent, but you can buy movies and TV shows from Google Play or Vudu, and listen to other subscription music services such as Spotify and Rdio. The biggest hole in the catalog is Amazon Video, and unfortunately that’s unlikely to change anytime soon. 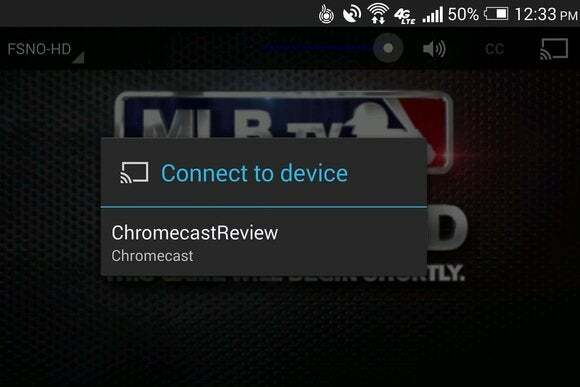 Tapping the Cast button in a supported app, such as MLB At Bat, starts playing video on the TV. 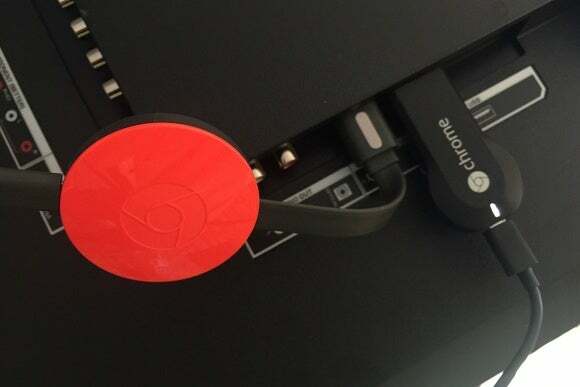 It’s certainly possible to gripe about what Google didn’t include in the new Chromecast. There’s no 4K video support, for instance, and no 60 frames-per-second playback in YouTube. And while other streaming platforms support private listening (either through Bluetooth headphones on Amazon Fire TV and Android TV, or a headphone jack on the Roku 3 and Roku 4 remotes), Chromecast does not. At the same time, the lack of new features is a testament to how well Chromecast worked in the first place. It’s still a love-it-or-hate-it concept, as some people just won’t like the lack of a physical remote control; but for everything Chromecast set out to do, it performs well. Buy the new model if you don’t have the old one, but otherwise be happy that your $35 investment is aging more gracefully than any of its rivals.